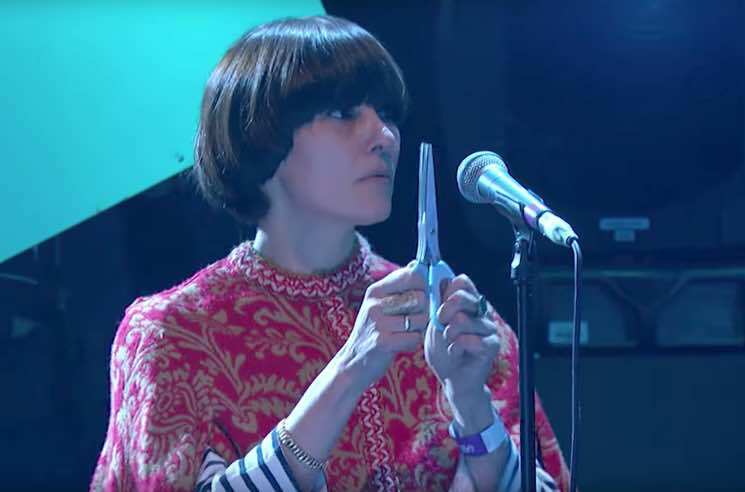 Last week, Noel Gallagher's High Flying Birds debuted "She Taught Me How to Fly" on Later… with Jools Holland, prompting widespread confusion (and adoration) over the fact that he was accompanied by a band member whose sole purpose was to play the scissors. Naturally, the singer-songwriter's younger brother Liam had something to say on the matter. He spent the better part of last week mocking the resourceful choice of instrument. Liam joked about implementing some equally unusual sounds, including that of peeling a banana, sharpening a pencil and sticking stickers. Never one to back down from a public altercation quickly, the younger Gallagher is still ragging on his big brother about the scissors. In fact, just this morning (November 7), he put out a call for someone to peel potatoes onstage at his gig in Bethnal Green tonight. Based on his penchant for holding grudges, we're guessing there might be a few more snarky suggestions still to come. Revisit Noel's scissors-featuring performance on Later… below; as previously reported, Noel Gallagher's High Flying Birds will release Who Built the Moon? on November 24 via Sour Mash. Liam, meanwhile will embark on a North American tour later this month, in support of his recently released debut solo album, As You Were.